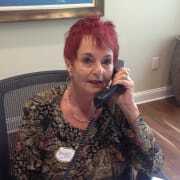 Join our team of dedicated volunteers here at Gulf Coast Village. Volunteers make a difference every day by enriching the lives of the residents of our community. Duties include greeting visitors, directing visitors, answering phones. Volunteers must be 14 years of age and complete a volunteer application which can be obtained by emailing Diana Nicol at dianan@gulfcoastvillage.org.